I’ve always loved the Charlie Brown Christmas special and the scrawny tree in need of some love. 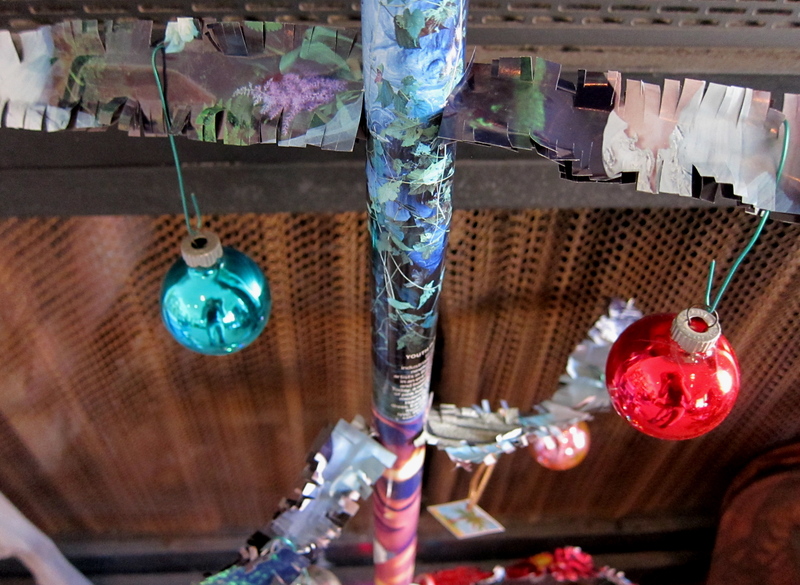 After making a recycled paper Christmas tree last year using pages from Vogue magazine, I decided that this year’s DIY creation would be a nod to the Charlie Brown Christmas tree. 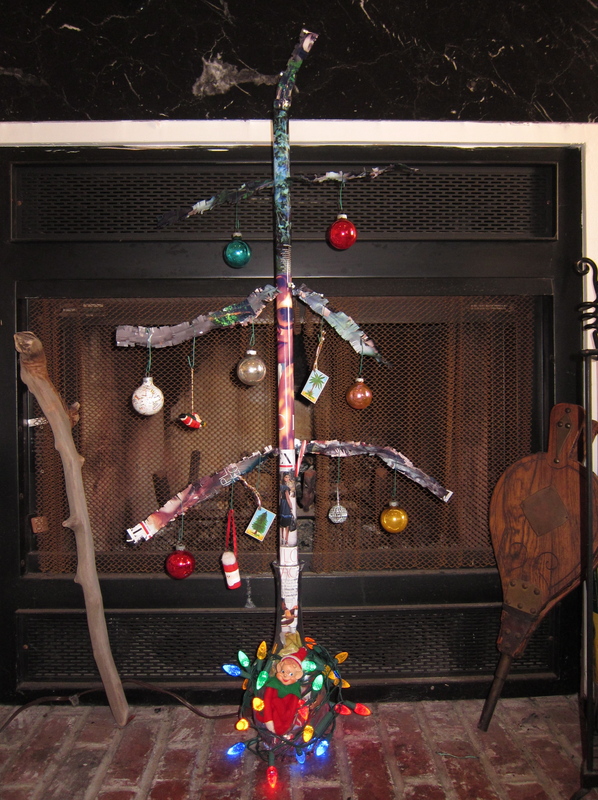 Rolled pages from the magazine were taped together to make up the base and the branches are fringed strips covering a wire with double-sided tape. For a stand, I used a crystal wine decanter.